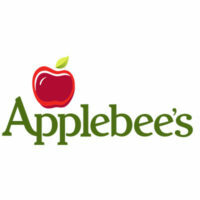 Applebee’s International Inc. is a company that forms part of the food industry in the United States. It is a business that operates, franchises, and develops the restaurant chain Applebee’s Neighborhood Grill and Bar. Applebee’s was founded in 1980 by businessmen T.J. and Bill Palmer in Georgia. Its success led to their decision to venture into the franchise system. Applebee’s is headquartered in Kansas City, Missouri. There are over 2,000 Applebee’s restaurants in the U.S. and one in Puerto Rico as of 2015. The popularity of this restaurant chain may be attributed to its emphasis on casual dining featuring such American dishes as pasta, chicken, shrimp, and salads. What makes customers choose Applebee’s is the wide array of food choices and its signature dish called riblets, which are cut spare ribs with excellent taste. Party organizers prefer to hire the catering services of Applebee’s as it gives convenience both for the hosts and the guests. What even makes Applebee’s catering services a popular choice among party hosts is the fact that the menu consists of dishes with affordable prices. People who are interested in availing Applebee’scatering services may do so through the Applebee’s website. However, you first have to create an account in their website to be able to continue placing your orders. In the website, you will be asked to indicate which U.S. state you are in so that the nearest Applebee’s restaurant chain will be assigned to you. It is best to check the catering menu posted in the website as the prices and food offerings vary, depending on the location. Delivery rates also depend on the location. Orders should be done 24 hours in advance to give Applebee’s enough time to prepare the food. During weekends and holidays, however, customers should place orders two days ahead to ensure that Applebee’s can still accept your orders and deliver them on time. The Applebee’s catering menu includes several Party Platter packages which include Buffalo Wings Platter, Boneless Buffalo Wings Platter, Applebee’s Riblets Platter, and Chicken Fingers Platter, among others. Applebee’scatering service is ideal for customers who want to host a party or an event with a limited budget but want to serve mouth-watering dishes to their guests. The catering menu of Applebee’s is consisted of delectable platters to make it easier for customers to decide which sets of food to order. The prices of these platters range between US$20 and US$50. Should you want to order food that is not in the Applebee’s catering menu but is in the dine-in menu, you may ask the Applebee’s representative if it is possible. They are usually accommodating with this kind of requests but it still depends on food availability. In spite of its very affordable prices, Applebee’s catering is known for providing exceptional customer service and that’s what makes customers keep on coming back. Indeed, event hosts who simply want to enjoy with their guests truly get the value for their money when they hire Applebee’s catering services.